DRINK CRAFT BEER…WIN FREE STUFF – Yes, you heard us right! Sitting at a Philly bar, perusing the draft beer list or menu, sipping on your favorite tap craft brew, or are you a bartender or manager in between customers? 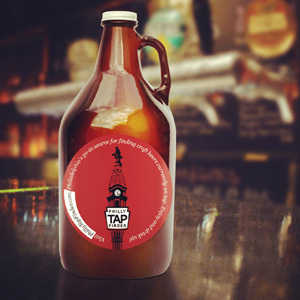 Well, take a minute and send PhillyTapFinder.com a “Tap Tip.” You can send us either the full craft beer draft list from a Philadelphia craft beer bar listed on PhillyTapFinder.com, or just send the names of the new craft beers and what they replace (example: Allagash Four replaces Avery Hog Heaven; Bell’s Porter replaces Ommegang Rare Vos). No need to search for any fine print – there is none. The only restriction is that you may receive only one of each item when you attain the appropriate level of Tap Tips (except the annual Top Tap Tipper, which can be won repeatedly by the same individual). 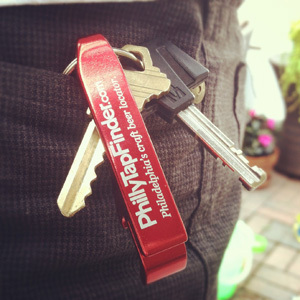 Also, to be eligible for the annual prize, you must send Tap Tips from at least 15 different Philadelphia craft beer bars over the course of the year. How great is this? Why are you still sitting there? 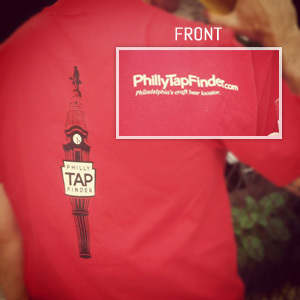 Get to a Philly craft beer bar, grab a craft beer brew, send us a Tap Tip, and WIN FREE STUFF!